For those of you who have visited my blog “Something About Love (A)” (www.gratianads90.wordpress.com ) before, you know that in addition to my storytelling, essays, sensuous love poems, RA trivia games, and video slideshows, I have a virtual Mice Girl guest blogger named Melissa the Mouse (MTM), whom we first met here. Melissa [(1) right] had her “brush with brieness” when she “met” Richard Armitage last Summer at his Recognise Magazine photoshoot and she detailed that meeting in the following post she titled “My Giant”. Since then, Melissa has listed her Twenty Preferences, visited the Holiday White House, and even reviewed the Women of Downton Abbey. And we cannot forget Melissa’s musical co-production post with Patty the Pom called Mouse of the Dance. Melissa is a cheesy girl who only writes in verse and today’s offering about Richard Armitage is in the form of rhyming couplets–though cadence is out the window. Ha! Enjoy! Richard Armitage was a nice bloke from Leicester. He joined the circus after his parents he did pester. As a Mice Girl, I won’t hold it against him–not even a wedge of cheese–for that. He felt it did not fit him, like a black leather glove. And there he studied the dramatic arts a ton. Though it was a metaphor about relational shenanigans. And one could see the smoulder in his eyes even then. To capture the hearts of ladies now and again. Television beckoned with “Sparkhouse”, that was set on the moors. The stern but heart stoppingly romantic swain of “North & South” that was set in Milton. 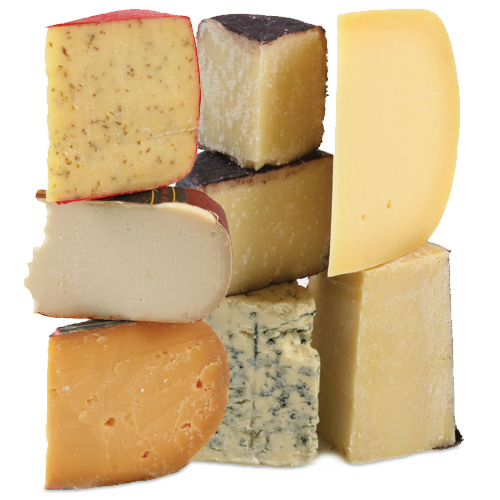 Richard was a perfection of cheeses and provolone colored cravats as John Thornton, in my non human mice girl mind. And even though I look at things through cheese scented glasses, I thought he was handsome–for his kind. Could Richard have imagined then, the trajectory that his career would follow? Portraying an errant knight Sir Guy, the tragic Spy Lucas, and even Porter wasn’t mellow? RA as the French born Sir Guy in black leather was non cheesily Guy-li-cious! 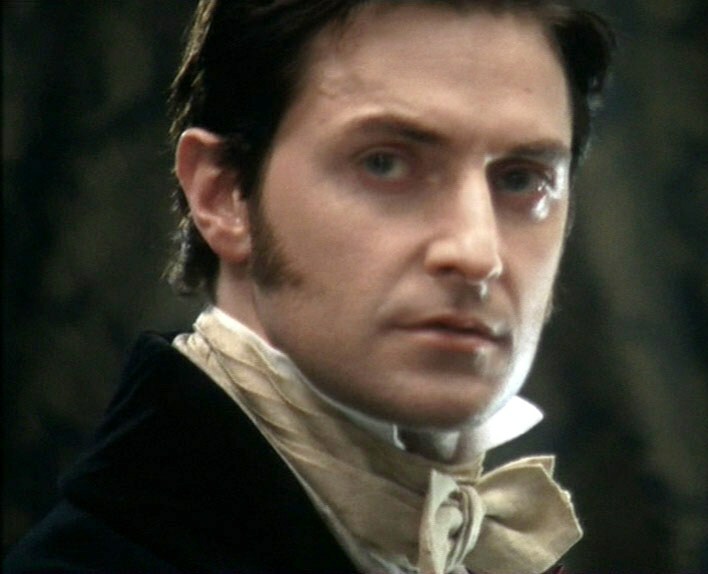 RA’s Gisborne was smoulderingly good like a fine Roquefort cheese–so luscious. But it was RA’s tragic Lucas North [(5) right] whose story of sacrifice melted our hearts. And RA’s honorable John Porter was a man of good character, right from the start. One of Richard’s most endearing roles was as Harry to the Vicar Geraldine [(6) right]. He made women around the world swoon with his fun loving side that was seen. Nor the dastardly alluring John Mulligan whose escapades have a stinky Stilton cheese bouquet. 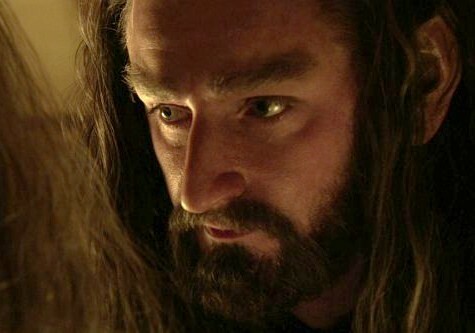 And only time will tell what future artistic projects–and cheeses–for RA that this pivotal lead role will yield. For Richard to have his coming Hobbit fame as Thorin [(7) right] to be manageable for him in size and scope. With a full and varied career behind him–as a mature man of the world—he can appreciate where he has been. So Richard, I wish you great joy, love, happiness, and cheeses [(8) right] galore. Because you possess an exquisite talent and deserve this recognition even more. (9) Nota Bene: Melissa the Mouse is a fictional, virtual character created by her non virtual human Gratiana Lovelace. Melissa the Mouse plans to virtually visit and fictionally write about her experiences in mice life. So, please suspend your disbelief and join her for the ride. All references to real persons living, dead, or undead (since vampires are so popular these days, eek! )–-whom she may or may not have met–-and actual places she may or may not have visited are pure whimsy and meant in good fun. P.S. 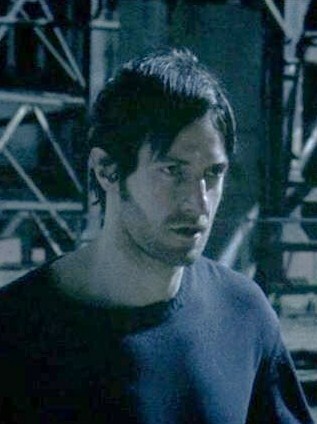 And as I have said before, Richard Armitage is male beauty personified–both inside and out. Mr. Armitage is unfailingly polite and gentlemanly, a consummate professional as an artist and filmmaker, and he compassionately supports charitable causes. Please see the Just Giving Link here (http://www.justgiving.com/Richard-Armitage ) or in the sidebar at right under “Actor/Richard Armitage: Official/Semi Official Sites” should you feel moved to make a donation to one of Mr. Armitage’s chosen charities. And as to Mr. Armitage’s handsomeness? Sighhhh! Well, Michaelangelo’s David sculpture has nothing on Mr. Armitage. Ha! Richard Armitage is a nice guy. And much to his disavowal, he does have a “nice guy face”–especially when he smiles. However, it is Richard Armitage’s exquisitely talented storytelling and filmmaking that I most admire. Seeing the juxtaposition of Richard Armitage in real life compared to his many and varied dramatic character portrayals in his reel life, just makes his storytelling artistry that much more brilliant. Mr. Armitage is a gifted chameleon of an actor who authentically portrays his characters with such depth and attention to multi-faceted nuances that we, his audience, become immersed in his story telling. Also in Day Seven, please see my F3 partner’s post at Fly High! (http://flyhigh-by-learnonline.blogspot.com ). This entry was posted in Creative Writing, FanstRAvaganza, poem, Richard Armitage and tagged Creative Writing, Melissa the Mouse, Poem FanstRAvaganza3, Richard Armitage. Bookmark the permalink. Yes, for a human, Richard Armitage is very mice. I like him so much, I’ll even say it twice. And he did not squash me, which always is a worry. That RA looks even better with a whiff of brie. Good to see you again! I missed you. Have you been travelling? Mostly due to my human Grati’s busy state. Certainly by the next full moon. Because my mice girl self thinks RA is gReAt! P.S. Eekcellent play on words, Fabi! (Still catching up posts! What a great week) Wonderful, Gratia, you captured the humour – but also the hard work that has been/is a part of this actor. Sorry, Melissa, I’ve ended up with TWO cats, and one weighs – well, a lady doesn’t disclose that. Of Richard and cheeses, it’s hard to compare. It was our unvarnished admiration for him that we laid bare. P.S. Eekcellent poem that you penned!